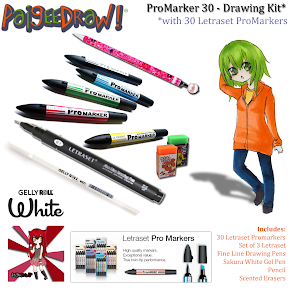 PaigeeDraw: PaigeeDraw PRO 1.3 Finally Released! PaigeeDraw 1.3 PRO was finally released on iTunes this week! PaigeeDraw 1.3 is over 4 times bigger than the original release of PaigeeDraw in December 2010 and twice as big as the previous release. New Characters, Chibis, Hands, Eyes and Faces have been added to PaigeeDraw 1.3. Some familiar characters have also been updated! New to PaigeeDraw 1.3 are hair and facial expression tutorials. 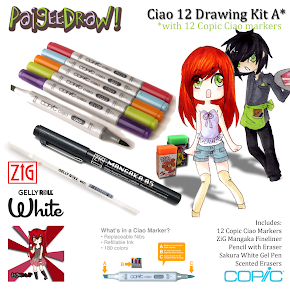 PaigeeDraw 1.3 PRO also offers a free copic marker coupon for the PaigeeDraw online store. If you want to participate in the PaigeeDraw Contests, a Code is also included in the app to increase the prizes 3X! - Paige will be on CityTV on September 26 as part of BT's Brightest - a showcase of exceptional and unique students for the 2010/2011 school year. 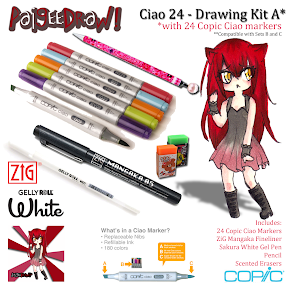 All Copic Ciao and Copic Sketch Markers are now on sale for the lowest prices available on the internet. 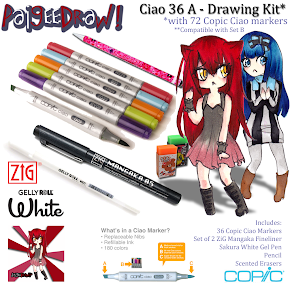 These prices are for a limited time - if you are looking for Professional Markers, now is the time to check out the PaigeeDraw Online Store! 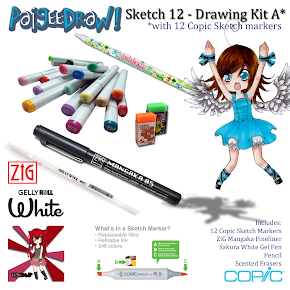 Getting your copy of PaigeeDraw PRO, as well as buying your art supplies at PaigeeDraw, helps us to keep having great contests, and promoting the art of young aspiring artists! 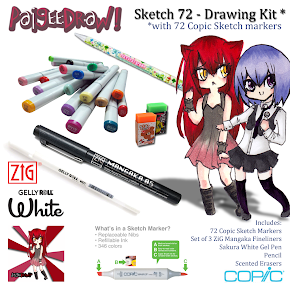 Please get your copy of PaigeeDraw PRO, and buy your art supplies for the lowest prices on the internet - almost 50% less than your local art supply store.